Just about every travel book on France seems to arrange its information according to different methods. Our Travel Journal, France was originally arranged according to the 22 principle Regions of France. What could be more consistent to that! Well it turns our not so much. 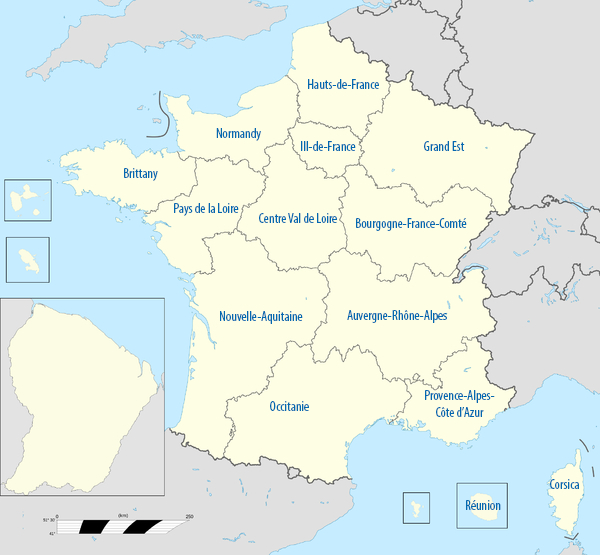 In January 2016 France reorganized the Regions and arrived at a smaller number, 13 Region. Like many travel sources it will take some time to edit and re-arrange the content. The individual Regions are listed to the left. Within each Region are Administrative Departments. They have a two digit number, and that number is shown as the first two digits of the Postal Code. So for example, Paris, with postal codes that start with 75, means Paris is Administrative Department 75. There, see how it all works together!